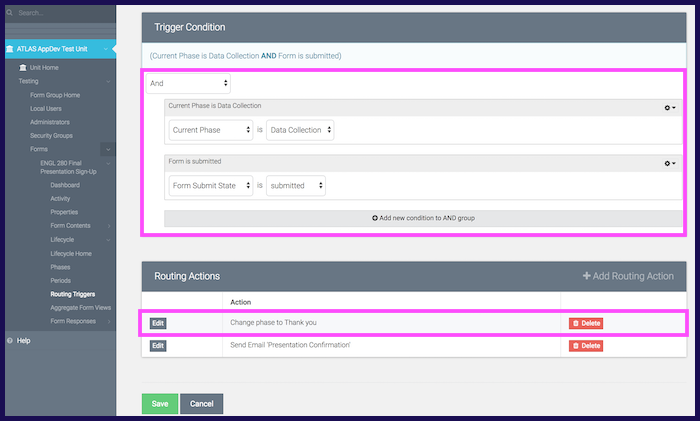 This tutorial is intended to display the process of creating a confirmation phase, from adding the phase to setting up routing triggers and phase permissions. Confirmation phases are used to signal to the form responder that their form responses have been successfully sent to the form administrator and saved to the database. This phase is often seen in the form of a "Thank you" screen, telling the form responders that they are able to log out of FormBuilder. 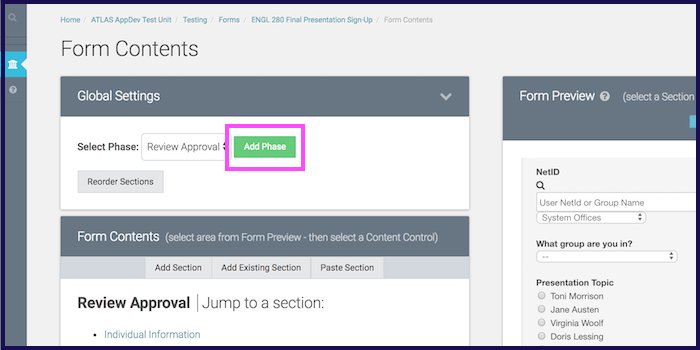 To create a basic confirmation phase screen for your form, follow the steps below. 1.) 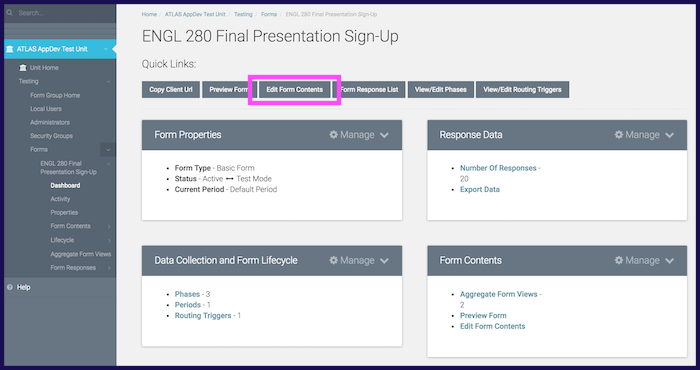 Edit Form Contents: On your form's dashboard, click the "Edit Form Contents" tab at the top. 2.) Create a new phase: Select "Add Phase" under Global Settings. This will open up a box for creating a new phase. 3.) Name new phase: Because this confirmation phase is likely used to thank the form responder and assure them that their form has been submitted, I have named this phase "Thank you". You may name it whatever you like, as the form responder will not see this name. Make sure to select "Review Approval" from the drop-down menu displaying the different types of phases available. 4.) 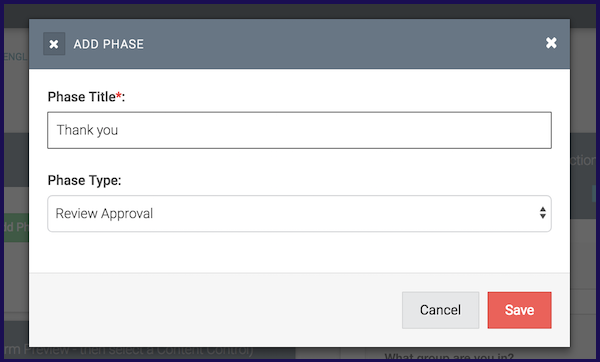 Phase permissions: be sure to give your form responders view permissions. For more information on how to accomplish this, check out ATLAS FormBuilder - Introduction to Phases. 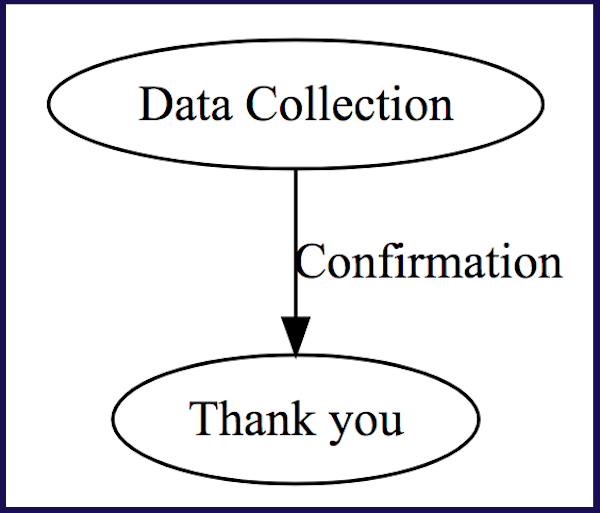 Trigger Condition: "AND", defining that the Current Phase is "Data Collection", the Form Submit State is "submitted", and possibly that the Payment Status is "paid" if a fee is required for registration. For more information on conditional statements like "and" and "or", check out ATLAS FormBuilder - Conditional Statements in Routing Triggers.